The first creation from this young, gravity-defying contemporary group mixed up a heady cocktail of contemporary circus and dance with live music from an onstage DJ/musician. 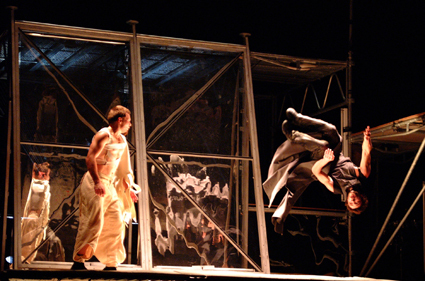 Directed by Fatou Traoré (previously seen with Alain Platel’s Ballet C de la B) performers are propelled through the air by a huge, centre-stage trampoline. 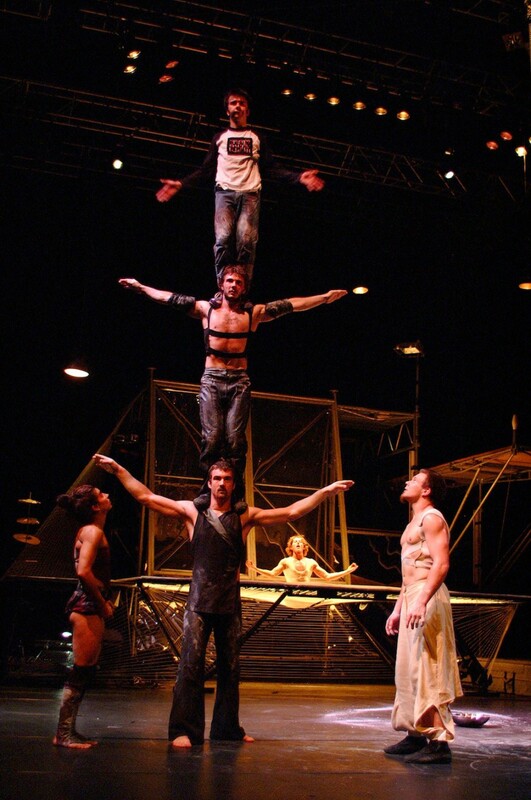 La Syncope du 7 also features aerial work at its most original and acrobatics that make you want to dance. A big, raw, beautiful, hugely enjoyable show. Created in 2001, La Syncope du 7 played 157 times across Europe, Asia (Vietnam, Thailand, Hong Kong) and Australia.